Heat Pumps from Stafford Mechanical Services, Inc.
Heat pumps can provide you with efficient home heating and cooling, all in one unit. Stafford Mechanical Services, Inc. installs heat pumps in your home that offer the best in heating and cooling, in an energy-efficient, environmentally sound package. Our heat pumps are the best available, built by some of the most trusted manufacturers. They offer the durability and energy efficiency you want, so you can enjoy improved home comfort and lower energy bills. Our expert technicians are licensed and fully trained to provide you with professional installation that will keep you and your family warm and comfortable this winter, and for years to come. For quality heat pump installation in your home, trust Stafford Mechanical Services, Inc.
Stafford Mechanical Services, Inc. is ready to assist you with your heat pump needs. 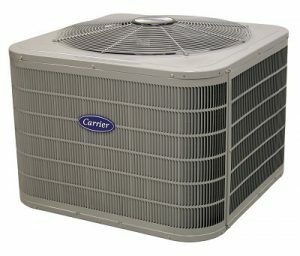 We proudly service Carrier heating equipment and many other brands as well. You may contact us via phone at (860) 684-9485. We look forward to helping you with all of your heating needs.